There’s certainly nothing wrong with taking the tried and tested approach of smoking your meat the old-fashioned way by using a charcoal or wood smoker. There’s something to be said about the practiced skill required to correctly maintain the flames, regulate the temperature using the smoker’s built-in vents, and trying not to disturb the meat too much when taking its internal temperature. It takes patience and dedication to see the smoking all the way through, and the results of that speak for themselves. Why Use A Vertical Gas Smoker? As most of my friends will tell you, the true spirit of authentic barbecue comes from meticulously regulating and tending the fire in order to maintain the perfect temperature. A real Grill Master never rests they will say. For some of us, this is a lot more hassle than we’re prepared to deal with. 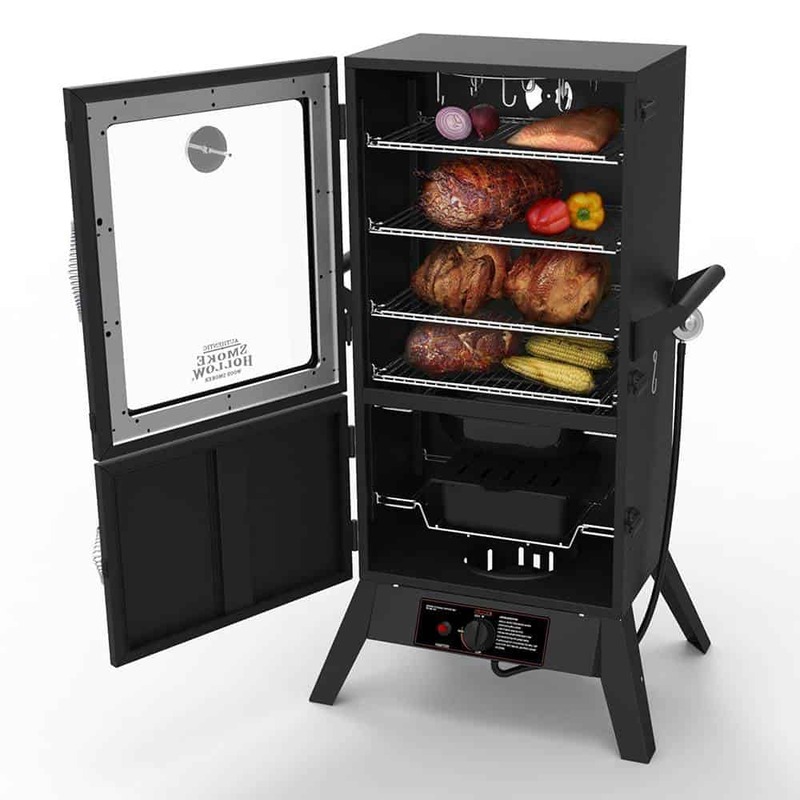 However, as technology is rapidly advancing in all areas of life, the world of meat smokers has also been keeping up with the times and the best example of this is the set-and-forget approach you can adapt by retiring the old coal smoker and switching to propane instead. Propane smokers work much the same as a charcoal or wood version except they replace the heat source with a gas powered burner. A box or tray of wood chips or chunks is then placed over the burner to create the wood smoked flavor we are used too. Usually, a water bowl sits just above the wood so the air inside the smoker stays humid and moist. Propane smokers allow greater control over the process of infusing ribs, roasts, rotisserie chickens, and ham with that specific flavor. If you’re wondering how exactly they tick and whether such a smoker will be the right fit for you, then read on. How Does a Propane Smoker Work? The workings of a vertical propane smoker are not all that different from a charcoal or wood smoker like I said. But to understand how a vertical propane smoker works, you first need to visualize how one looks. They’re essentially solidly built metal boxes that resemble wide versions of high school lockers or turn-of-the-century safes. Inside they are divided into a number of compartments. The bottom-most compartment houses its most important component—the burner. The burner is connected via a hose to a propane tank that’s positioned near the smoker that provides it with a consistent stream of much-needed fuel. Above the burner lies the wood pan. Even though gas is the primary source of fuel in a propane smoker, on its own it doesn’t provide any kind of flavor to the meat. This is why wood is needed to enrich the meat with the distinct flavors made possible by the smoke released when it is burning. This is also the ingredient which will largely determine what kind of flavor the meat will have. There’s a wide variety of wood, which has anything from a mild, yet pleasant flavor, to a sharp and very noticeable one, so it is up to you to choose the one you like best, or mix and match in order to produce interesting results. The pan most smokers come equipped with is sturdy and made from cast-iron. While this is a sign of quality, using a thinner pan instead will allow the wood to heat up much faster and start smoking almost instantly. Above the wood pan, we have the water pan. As its name suggests, it is filled up with a liquid such as water, which has many beneficial uses. The pan can serve as a heat regulator. The burner is usually located at the center of the smoker and gives off most of its heat upwards. The water pan then absorbs this heat and distributes it more evenly toward the meat. It is also used to catch all of the drippings that come off of the meat so they don’t fall into the fire and obstruct the burner. Another benefit is the moisture they add to the smoking process. Without it, your smoked meat could end up as dry as old leather. The topmost portion of the smoker is also the largest and is used for the hooks and racks which the meat or other food is placed on. Depending on the model, there are varying amounts of space to work with, and some smaller units don’t have hooks. Most models come with adjustable and removable racks to add space when cooking bigger food items. It is important to note that the farther a piece of meat is from the burner, the less heat and smoke it will receive, so it is always a good idea to place meat and food which requires less smoke or a lower temperature to be prepared properly on higher racks. Imagine still getting the smoky flavor of a charcoal smoker with the ease of use of a gas grill in a set it and forget it device. This will appeal to many barbecue lovers living a hectic lifestyle who still crave the bold flavors of real wood smoked foods, but don’t have the time to hover over a smoker all day. Low and slow smoking temperatures are much simpler to maintain with a gas smoker, which means a lot less labor when compared to their charcoal counterpoints. The greatest advantage the propane smoker has over other variants is the consistency of the flame produced by the burner. There is no need to constantly check the fire or add additional fuel. As long as you have plenty of propane in the tank, you will get a steady burn and consistent heat. Turning it on and off, as well as regulating the intensity of the flames is child’s play since everything is controlled by a few knobs. It’s easy to find a propane smoker of decent quality for around $250 or less. Better yet, spend a little extra and you can find a more durable model with a larger cooking area without going over $500. What does a clean burn even mean? I’m glad you asked. Propane burns much more cleanly and much more efficiently than wood or charcoal. It is also better for the environment, not to mention less ash and soot seeping into your food. Most models come with a push-button ignition and are super easy to light. They are also easily controllable. To get more heat, turn the knob that controls the burner and you get a bigger flame. Do the reverse to get a smaller flame and reduce the heat. You will see the changes in temperature almost immediately. There is no messy ash to clean up and dispose of so there is one less thing to worry about. Most of the drippings will fall into the water pan which is easily removable and easy to clean. With nothing to plug in and no extra charcoal or lighting supplies to drag along with you, propane smokers are great to take tailgating, camping or to a family’s house for a party. I take mine on fishing trips every year and we are always the most popular camp in the area. Just remember to fill your propane tank before you go. Because of their shapes and smaller sizes, you have many more options if you have limited space. The smaller footprint of most gas smokers makes them perfect for anyone who doesn’t have the room for an offset smoker. As with any type of grill, there is always some type of con or possible limitations. Keep in mind, there are usually ways around most of the limitations you may find for the resourceful outdoor cook. Some limitations may not apply to you. As the saying goes, “You Mileage May Vary”. It helps to have a plan before you buy and knowing what your needs are will go a long way to getting it right the first time. If you are planning to smoke a large roast, brisket or full rack of ribs, pay attention to the width of the smoker. Because of the locker type shape of most vertical gas smokers, their width may not accommodate larger meats. This does not apply to all models so shop around. Avoid the models that use thin-gauge metal construction, gaps in welds or do not have airtight and ill-fitting doors. They will leak smoke, be more susceptible to wind and cold weather and make it much harder to sustain and maintain even heat. While there is definitely not as much fuss as having to maintain a charcoal smoker, it is a good idea to always make sure you have a full propane tank before starting a long cook. Better yet, keep a spare tank handy and you will never have to worry. It could be a meal killer to run out of fuel three-fourths of the way through your cook. Before you start to cook up those signature dishes, be sure to test out your smoker to see if everything properly works. Apply some oil to the racks and let the smoker run on medium heat for a while. Gradually increase the heat and adjust it to what you would be using for different kinds of meat. Once everything checks out, the smoker is ready for use. High-end models come equipped with temperature gauges that are supposed to replace having to use a food thermometer. More often than not, their readings are unreliable though. Consider investing into a trusted food thermometer probe to get rid of any lingering doubt and treat the gauge as a decorative element. It’s pretty apparent from the description above that propane smokers have a lot in common with their charcoal cousins. The guiding principles on actually smoking the meat are pretty much the same—it is the fuel source and the way in which it is utilized that make for the crucial difference. This, in turn, has a direct effect on a couple of side effects that come from using a propane smoker which only adds to its appeal. Temperature consistency and a much lower level of personal involvement have already been mentioned, and on top of that, there’s also the fact that you don’t have to spend nearly as much time to sufficiently clean it afterward because there’s no ash to be taken care of. Knowing more about how a propane smoker works will benefit your judgment when it comes time to buy. They’re the go-to option if you can’t devote the time to constantly tend the fire, or just don’t want to be bothered with it. Add to that their low maintenance and general ease of use and you’ve got a compelling argument to choose one over other alternatives. Which outdoor smoker have you used before? Have you used a propane smoker and have any tips to share? 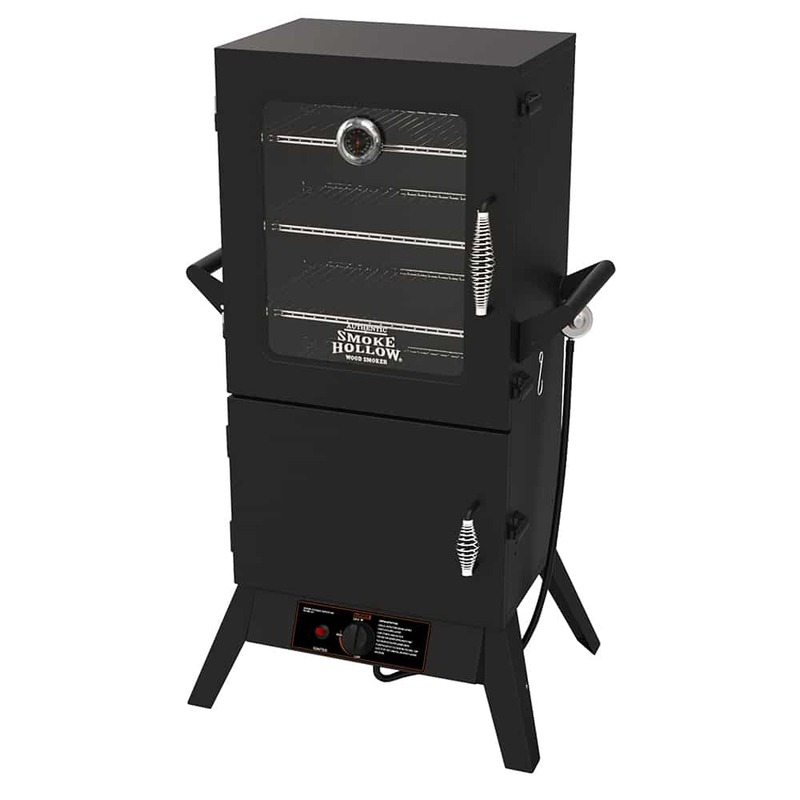 What features do you typically like to see in a smoker? 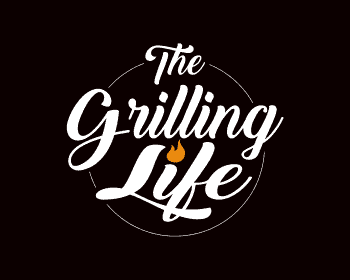 Thank You for Supporting TheGrillingLife.Com! Thank you for joining me in my passion to bring you the best reference site for all things grilling on the web! At this point, I am supported solely through my chosen links, which earn me a small commission. Every time you click one of my links and make a purchase, it helps me pay for the domain, hosting services and every other expense needed to share with you my love for grilling. I am beyond grateful to all of you support my passion. I especially enjoy hearing how much this site means to you. Don’t hesitate to drop me a line about anything at all by using my contact us page or the easy form below.